It seemed like a match made in heaven - but it wasn't meant to be. 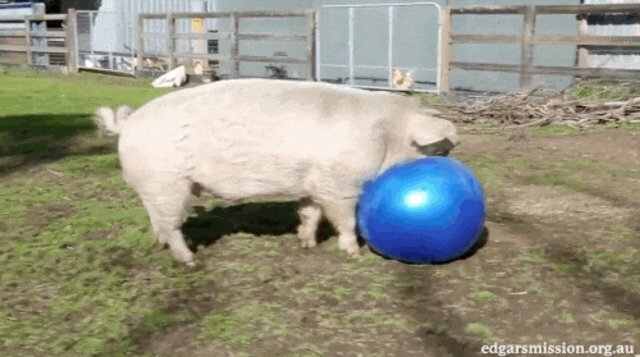 Australian farm sanctuary Edgar's Mission recently posted a video of one of its resident pigs, Max, playing with a glorious new blue ball. Max doesn't take very long to warm up to his new friend. He seems to try to hug it. And never lets it get too far away. 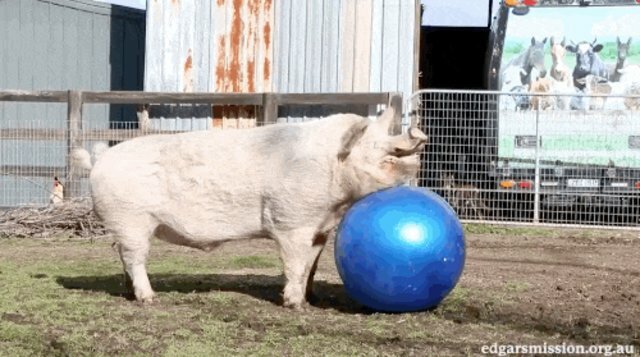 Unfortunately, Max is a big pig, and the ball just can't handle all his love. And so it pops. Just look at that face. He knows what he did. 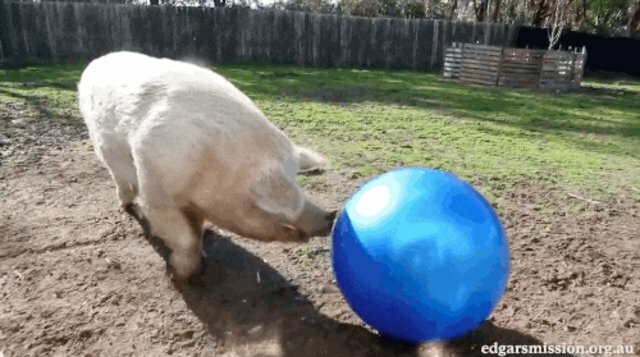 Even though his love was short, Max is living a life most pigs could only dream of. 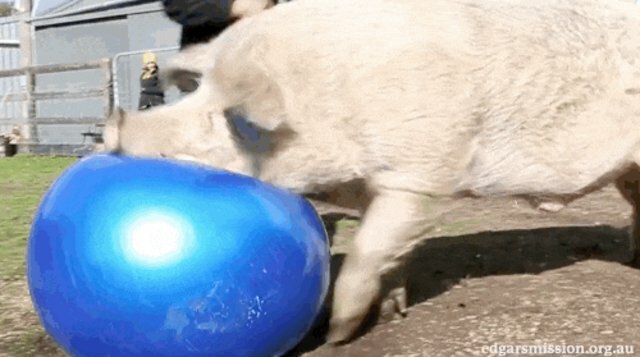 To help Edgar's Mission rescue more pigs from life at factory farms - and care for the ones they have - you can make a donation here. 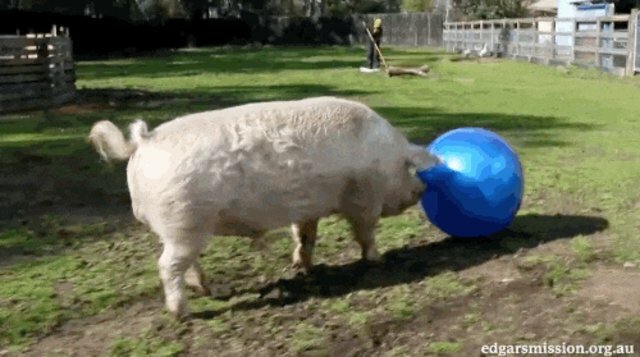 In particular, they're asking for help purchasing a new ball. 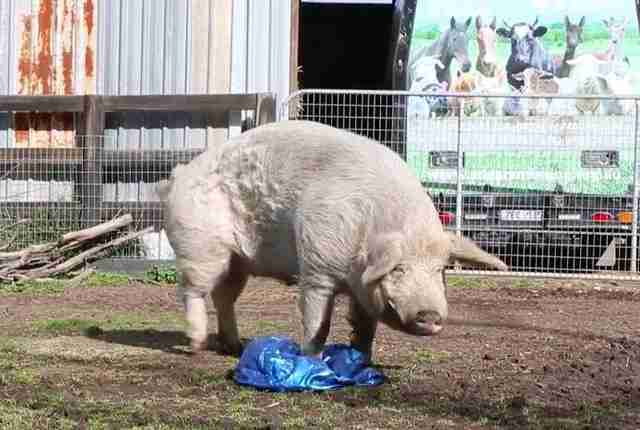 Watch below for the happiest pig you've ever seen.